No. The Goldust character and Dustin Runnels, the person, is not a homosexual. Runnels was married to WWF star Terri during the 1990's and had a daughter named Dakota. Goldust, the character, plays mind games with his opponents and the fans. Was Dustin married to Terri Runnels? Yes. Dustin Runnels and Terri Boatwright married in 1992 while they were working in WCW. When Dustin left WCW for the WWF, he brought Terri with him (to play his director,Marlena). Dustin and Terri divorced in 1999. Dustin left the WWF soon after. He returned to the WWF in 2002 and both are believed to be on good terms with one another. How many times did Goldust win the WWF Intercontinental Title? Three. His first win was against Razor Ramon at the 1996Royal Rumble. His second win came from a match with Savio Vega. Goldust and Savio Vega had a match resulting in the title being held up for a week until a rematch took place. Goldust won the rematch and regained the IC Title (In the wrestling business, a title being held up until the champion can regain the title is not considered another title reign. The WWF counted Goldusts' as one). His third title win was against The Road Dogg in 1999, right before leaving the WWF thatsame year. Why was he fired from WCW in 1995? Dustin Runnels was fired for breaking the anti-blood policy in WCW. Dustin (Rhodes at that time) and the Blacktop Bully were scheduled to have a "King of the Road" match at Uncensored, in 1995. The match took place in the back of a truck and both wrestlers decided to blade themselves (with the encouragement of WCW booker Mike Graham to do so). 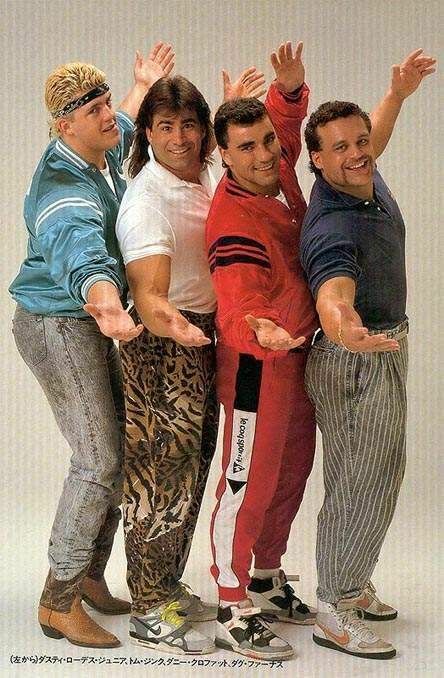 All three men were fired from WCW soon after and Dustin Runnels re-signed with WWF. Though it was officially stated, Goldust has stated in various interviews that he was the man behind G-TV (Goldust TV). 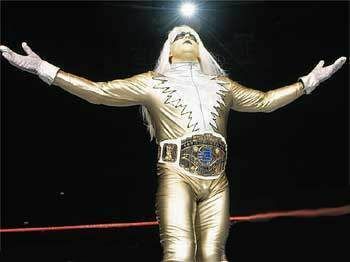 After suffering from a back injury (9-month recovery period) and many personal setbacks (divorce to Terri Runnels), Goldust was released by the WWF. The WWF had no way to explain who was behind G-TV so the angle was dropped with no conclusion or explanation to the G-TV Vignettes.